The online role-playing game “Dragon’s Prophet” just received a major update for mounted combat. 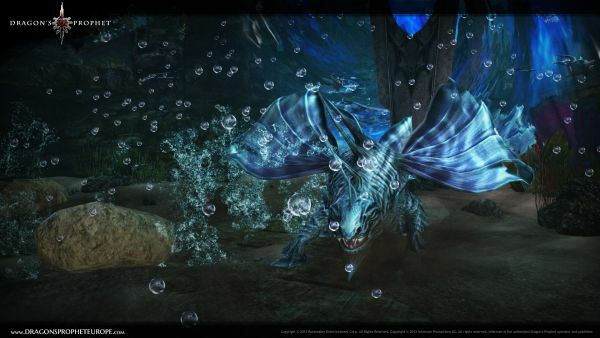 A trio of healing, tanking, and damage skills are now available for dragons, which allows for a more dynamic combat experience and creates entertaining fights for players to enjoy. Whether a player wants to specialize in a single area or be more versatile, it’s entirely up to them! But that’s not all: The update also includes the new high-level dungeon “Shrine of Handras”, which offers fresh obstacles for Osirans to overcome. The new teaser shows the mounted combat skills in action. “The new features give the game more depth, let the players develop an even stronger relationship with their dragons, and results in a more dynamic flow of combat!” says Marco Neubert, Director of Brand Management. Another highlight of the patch is the legendary Dungeon “Shrine of Handras“. Explorers will find the entrance to the fully submerged instance in the southeastern region of Olandra. Inside the shrine, brave adventurers will find a number of belligerent water monsters, dangerous whirlpools, and five fearsome bosses. Only those who have paved the way through the algae forest, past sunken ships and giant clams, will face the final battle with the dragon Handras. The new trailer shows the bosses of the instance at a glance. Robot Entertainment offers an inside look at the many great battles waged in Orcs Must Die! Unchained during PAX East 2014. Daybreak Games announced this past weekend that it will be splitting H1Z1 into two separate games. Besides pushing the level cap from 30 to 35, demanding quests, new club sets, and game optimizations are waiting for the players. How Easy Is It To Start Final Fantasy XIV?